The Jewish Life and Values Program of the Nathan Cummings Foundation (NCF) commissioned Visioning Justice and the American Jewish Community, an action research project designed to identify strategies for engaging Jews, Jewish communities and Jewish institutions more widely, deeply and effectively in issues of social and economic justice. 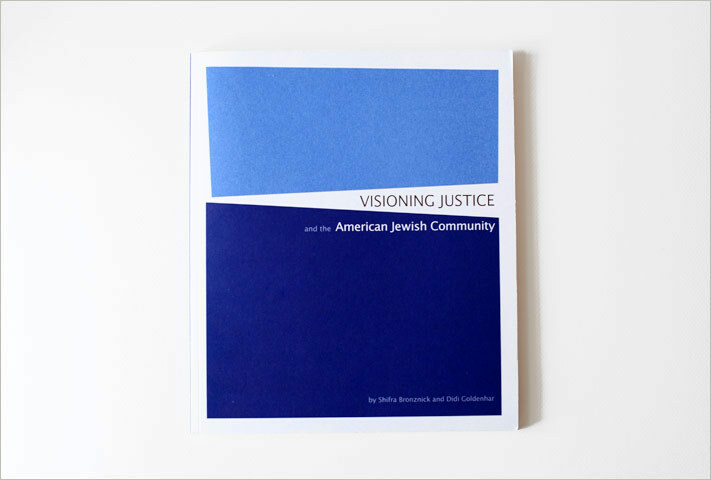 Led by organizational consultants Shifra Bronznick and Didi Goldenhar, Visioning Justice culminated in a 112-page report, part research paper/ part call to action. NCF wanted a fresh, highly readable and inviting presentation. 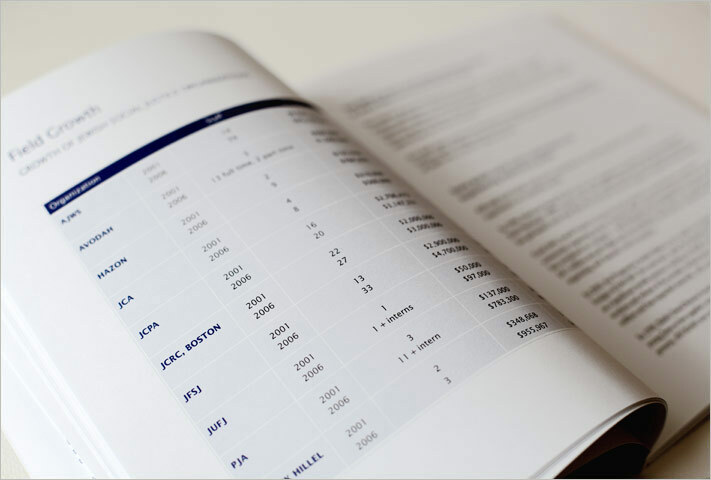 We began with the text, consulting on overall structure, flow and readability. Our strategy for the design was to create a quiet presence that would foreground the big ideas within. In this way, the simple but sophisticated layout and type treatment create a space for close reading, contemplation, and action.